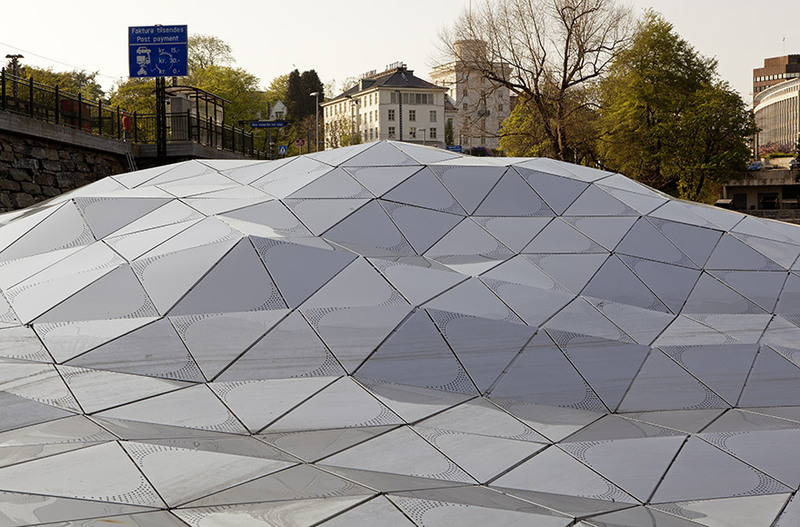 Put together from around 800 indi­vidual trian­gles, it perfectly adapts to the topog­raphy of the ground by following the contours of the shore. 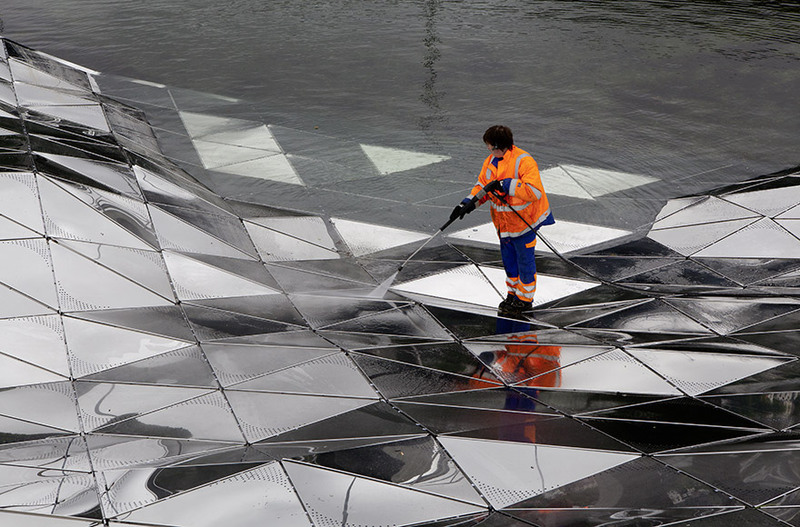 The panel stretches from the pave­ment, which is near the shore and into which the shapes of the metal trian­gles are set, down to the sea. 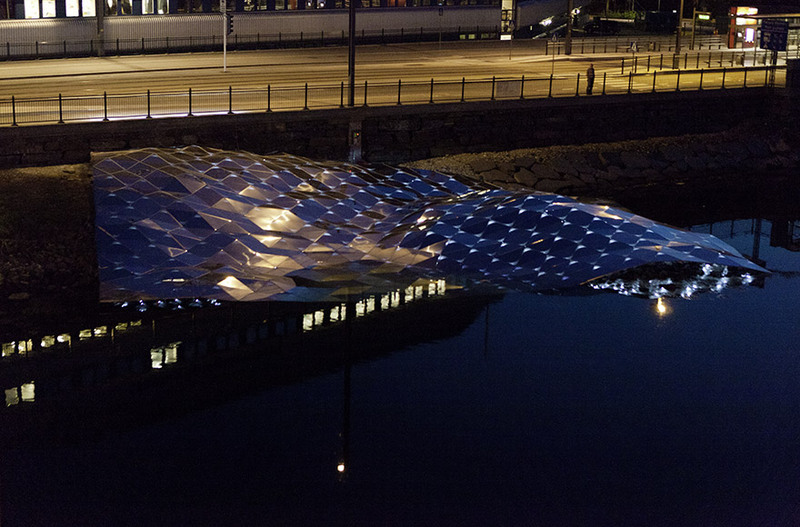 Depending on the tide, the panel is partially immersed in water. 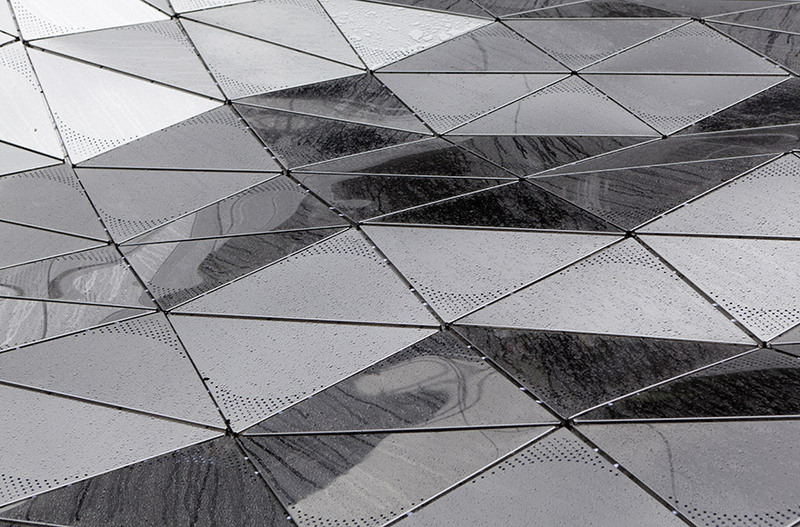 The multi­fac­eted reflecting surface is pierced with a hole pattern which becomes a wave-like struc­ture over­laying the crys­talline grid of the surface. 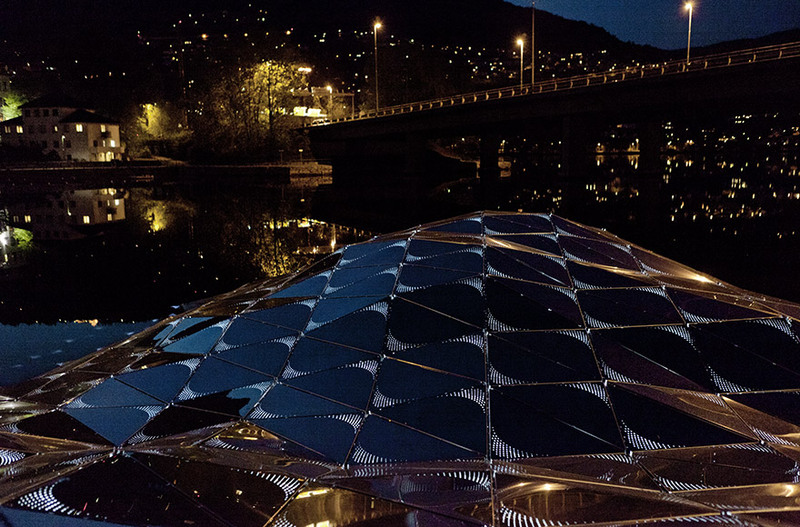 LED modules mounted under­neath send slowly pulsating light through the perfo­ra­tion. 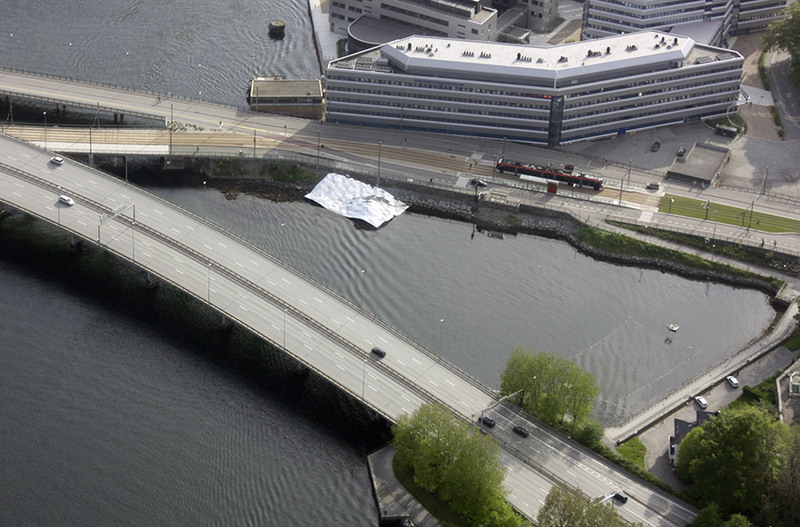 60°N 05°E copies and trans­forms the land­scape at the same time. 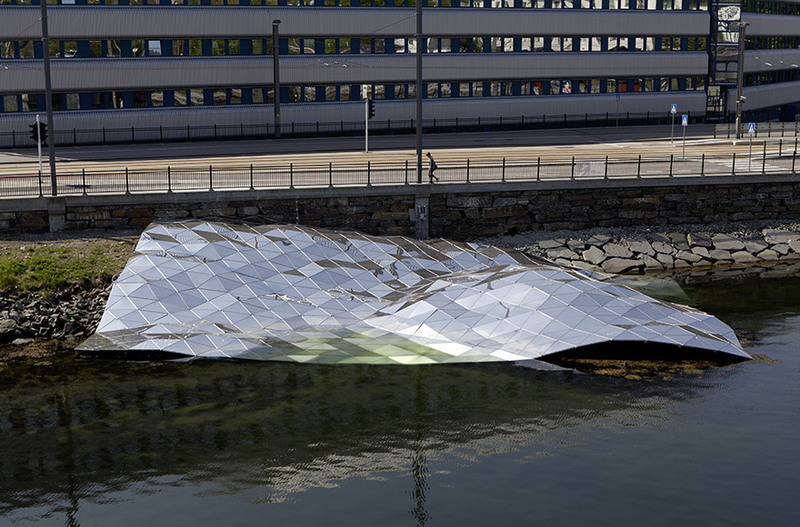 The light impulse which illu­mi­nates the perfo­ra­tion of the indi­vidual trian­gles over­lays the tech­noid surface with a gentle wave move­ment, causing the crys­talline struc­ture to appear to be in motion: a silvery cloth covering the land­scape which seems to hover because of the slowly growing and fading light. 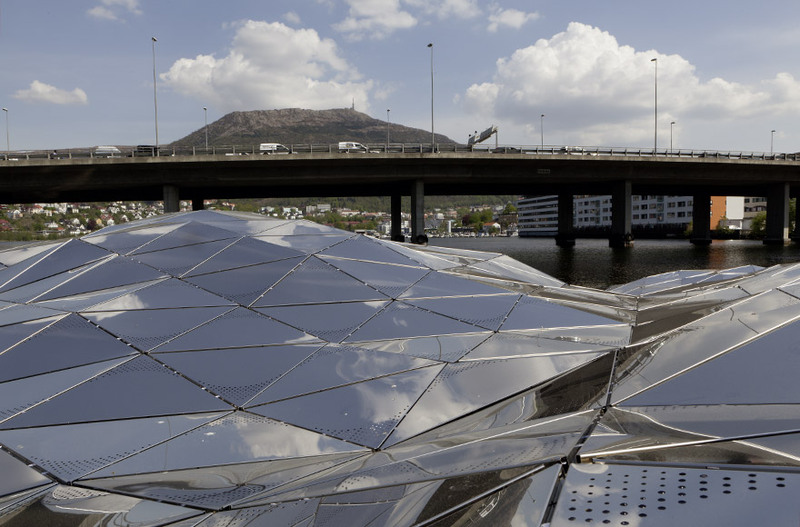 The work merges a variety of real­i­ties: on the one hand the large panel reflects the sky and the surrounding area which are captured on its surface, on the other hand the orig­inal shore of the fjord is hidden from the observer’s view.